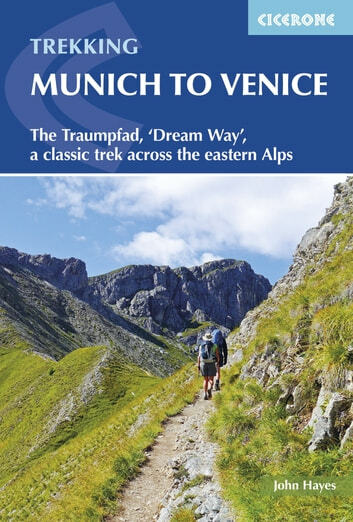 This guidebook describes the 570km (354 mile) Traumpfad or 'Dream Way', an Alpine trek from Munich's Mariënplatz to the Piazza San Marco in Venice. The route is broken into 30 stages of between 5hrs 30mins and 9hrs, graded according to difficulty, with 5 alternative stages and the option to spend a day traversing a section of via ferrata in the Dolomites. Previous experience of Alpine trekking is not necessary as the route is suitable for most able walkers: however, a head for heights is essential. Known as 'Europe's playground', the Alps boast an unrivalled walking infrastructure and breath-taking views of angular peaks, flower-strewn valleys and verdant slopes. Hugely popular with German trekkers but little-known in the English-speaking world, Der Traumpfad revels in this stunning scenery. The route passes through German Bavaria then Austria before entering the Italian Tyrol, taking advantage of the region's extensive network of mountain huts for accommodation en route. With custom-designed mapping and stunning colour photography, the guide has all you need to get the best from your trek. Alongside detailed route descriptions, there is useful practical advice on when to go, what to take and refreshment stops, background information on the region's fascinating history, plants and wildlife and full contact details for over 80 places to stay. The result is an ideal companion to discovering this amazing route, regarded by many German trekkers as 'the hiking experience of a lifetime'.